UPDATE: On March 11, LAist reported that the signs have been taken down, thanks in no small part to media attention (whoops). “I’ll have to drive around for 20 or 30 minutes to find a space,” says Boonstra, a documentary filmmaker. Part of the issue, Boonstra says, is that people park inefficiently and inconsiderately, leaving too much space between their car and other cars, allowing fewer parked cars to fit on the street. “My wife and I are always making fun of people parking that way,” he says. But, when you need to find a space, it’s no joke, so Boonstra designed some clever signs to address the issue. 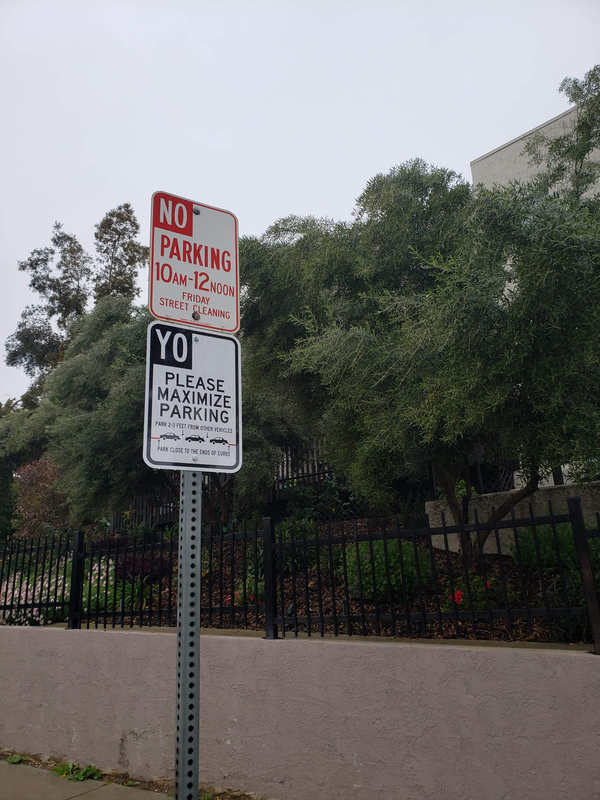 They read “YO Please Maximize Parking” and advise people to park just two to three feet from other vehicles and close to the ends of curbs. 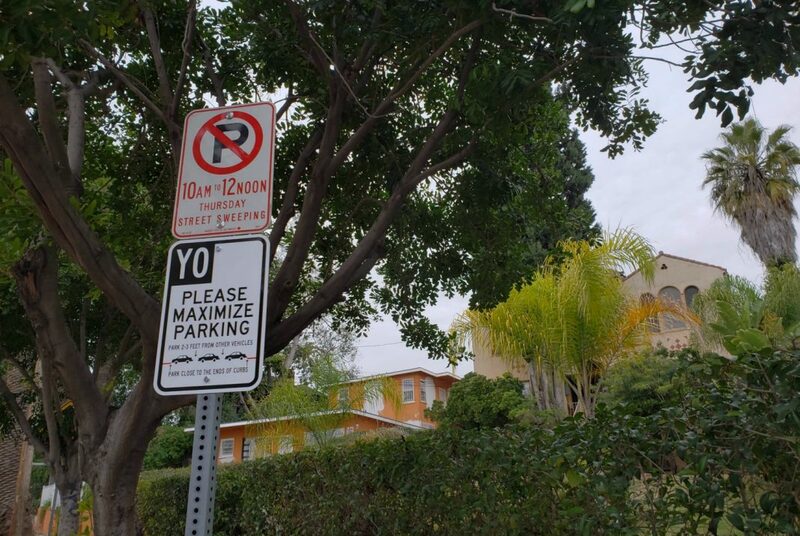 He had the signs professionally printed on aluminum, paying just under $100 for four, and put up one near his home on Laveta Terrace in Echo Park. It’s been up for about two weeks and seems to be making a difference. “The space in front of my house is usually a four-car curb, very rarely it will fit five cars,” Boonstra says. Since he put up the sign, five cars have regularly been parking in that area. He recently put up two more signs in the neighborhood and gave another to a friend to post, and he’s shared the design and manufacturer information for anyone who wants to order their own. The reaction on Nextdoor and a neighborhood Facebook group has been quite positive. A post on Facebook with a picture of the sign reads: “Heroes don’t always wear capes.” Indeed.